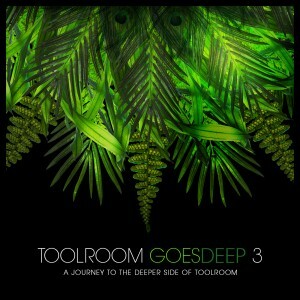 ‘Toolroom Goes Deep’ returns for its third outing, showcasing the deeper side of Toolroom Records though an impressive array of Toolroom favourites and previously unreleased exclusives. ‘Toolroom Records Goes Deep’ is crammed full of the biggest Deep House from established and emerging artists. Ranging from deep and melodic with tracks from Hot Since 82 and Hackman to garage-inspired cuts from Vanilla Ace, Prince Club and Bordertown, to techy rollers from Supernova, Doomwork and Tapesh. With an impressive array of exclusives to be discovered, including Eelke Kleijn’s ‘Onderhuids’, Honey Dijon & Jerome Robins’ ‘Wanting’ and Deep City Groove’s ‘Don’t Want Don’t Need’, alongside tried and trusted Toolroom favourites like Dusky’s remix of Cloud 9’s ‘Do You Want Me Baby’, Mark Knight’s remix of Submotion Orchestra’s ‘Thinking’ and Robosonic’s rework of Johnny Corporate’s ‘Sunday Shoutin’. The compilation boasts an unparalleled selection of upfront, unreleased and unmatched tracks. With a massive 40 tracks in total and three full-length DJ mixes, ‘Toolroom Goes Deep 3’ takes you on a journey through the different sounds and styles of Deep House.